2018 was spent on the road. Trekking through the North Sumatran jungle in search of orangutans, learning to catch waves in Byron Bay and relaxing in some of the world’s most luxurious resorts. Not to mention the months I spent living ‘feral’ in the oldest rainforest in the world. Luckily, I reported it all in a series of blogs for Abbotts Travel. Central America has so many choices, it will make your head spin. But don’t worry, we’re here to help. There are rainforests to hike, volcano peaks to climb, coral reefs to scuba dive, and colonial splendour to enjoy. You might not see everything in one trip, but you can certainly try. It’s no secret that various animal populations around the world are in decline, with a growing number currently fighting extinction. As Sea World vows to no longer capture Orcas from the wild, we see a rise of consciousness and compassion in the animal entertainment industry. Yet many will still ride an elephant in Thailand or stroke Tigers in Nepal, completely unaware of the harmful effect they are having. It’s not solely the entertainment industry to blame: deforestation, climate change and a lack of awareness are all contributing to a wholly neglectful attitude towards wild animals. Without calculated efforts to protect them, the only wildlife in the world will be the ones placed into enclosures for safekeeping. 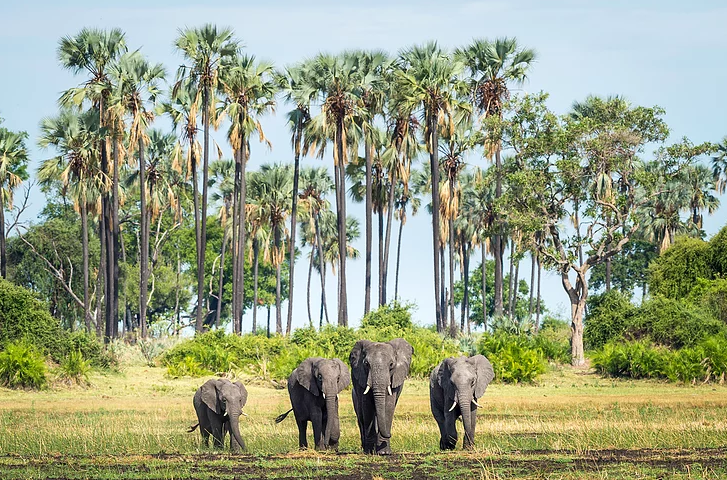 Incredible scenery, extraordinary wildlife viewing opportunities and a friendly culture means there are endless reasons to visit Botswana. From December to March, the country is at the height of the Green Season when the temperature is high, plant life flourishes and many species give birth. The water recedes on the flood plains and more of the land can be explored on foot or in a game vehicle. 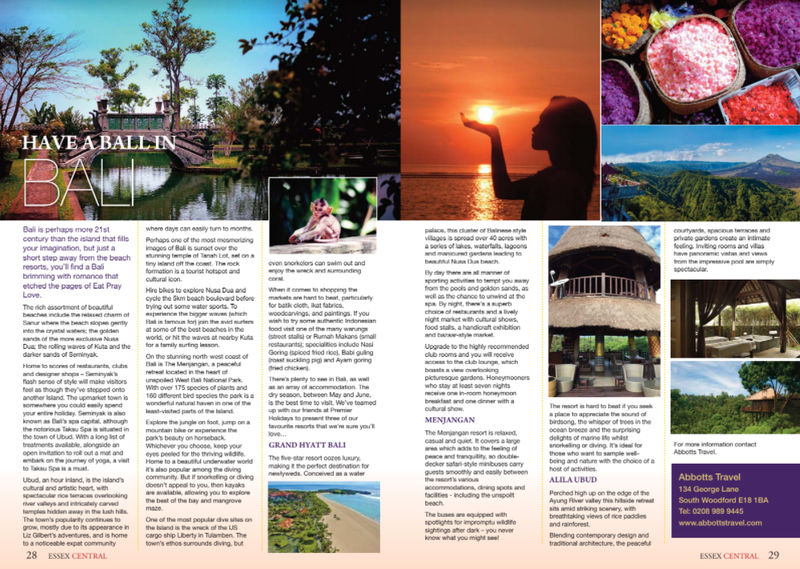 Bali is perhaps more 21st century than the island that fills your imagination, but just a short step away from the beach resorts, you’ll find a Bali brimming with romance that etched the pages of Eat Pray Love. The world of work is changing. Forget being chained to a desk, a boss you only see through their office window and strict working silos. The Japanese have a word for it: 'hanami'. It means looking at flowers, and it's a national pastime.